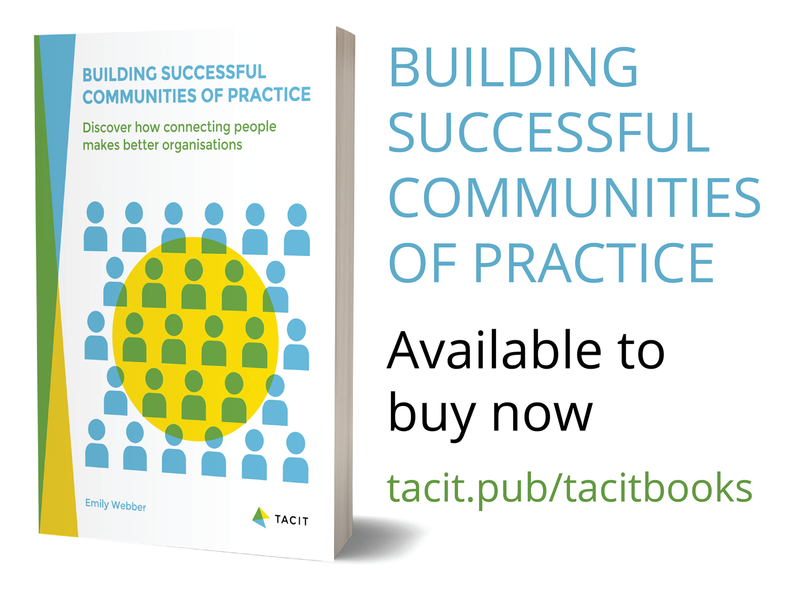 As you may know from previous posts, I’ve been busy writing a book called “Building Successful Communities of Practice: Discover How Connecting People Makes Better Organisations”. The book is now ready and you can now buy it both on kindle and as a paperback (print on demand) book. As well as being available to buy on Amazon UK and buy on Amazon US, it is also available globally on Amazon and through other booksellers, please use the book title to search. If you want to catch me speaking about content from the book, please check out the public speaking page on my company website to see where I will be. how could I have a copy of this pls ? Hi Sankar, it’s available on Amazon or other online retailers.